When is the best time to visit to Everest? April, May, September and October are the best time visit Everest Base Camp. From late June to August are the rainy season of Everest Base Camp. The road condition is terrible after heavy monsoon rains in this region. Therefore, it is difficult to see the clear face of Mount Everest, let alone the bad road. After the rainy season, it is the good time to travel Everest for its warmer weather and better road condition. Moreover, for travelers, they can enjoy the clear face of Mount Everest; for mountaineers, it is also the best time to climb Mt. Everest. View more Everest tour departures here. Best time visit Everest Base Camp The Everest Base Camp is a protection zone in Himalayas of Tibet side. It is built to protect the core area of Mt. Everest. 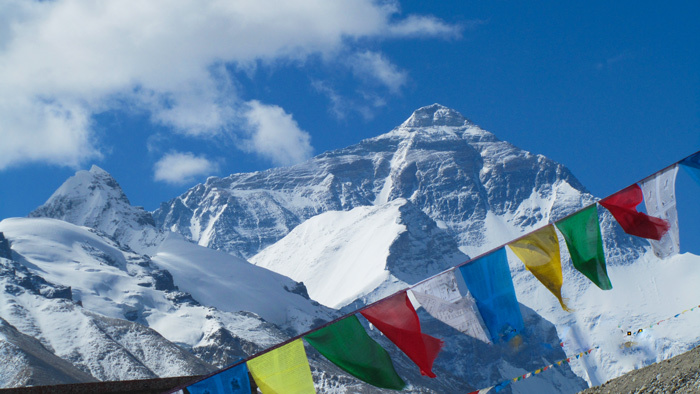 As the highest peak on Earth, Mount Everest or we can say the Everest Base Camp is one of the must-see landmarks of Tibet Autonomous Region. Therefore, it attracts countless travelers every year. Even though the weather is better than winter and rainy season, the temperature may drop a lot between day and night. So, travelers need to pack some warm clothes and other necessities like sun-cream, sunglass, hat etc. See more Tibet tour packing tips here.